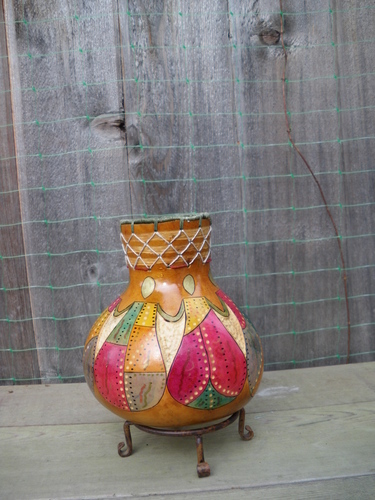 Gourd carved and painted with water colours and leather dyes. Created in 2009. Gourd carved and woodburned. Hemp coiled rim and hemp lacing on top. 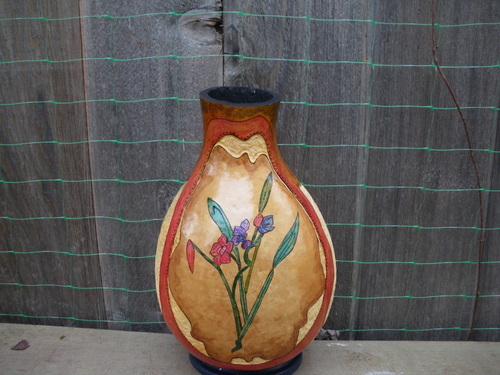 Painted with leather dyes. Created in 2009.